What does this mean? Basically, for the month of August- we aren't buying new books. We are going to shine a spotlight on our book shelves and start crossing books of the TBR List. This also means that my self-imposed library ban will be staying in place. I will not be bringing new books into my house in August. I have enough review books to keep me busy for the foreseeable future. 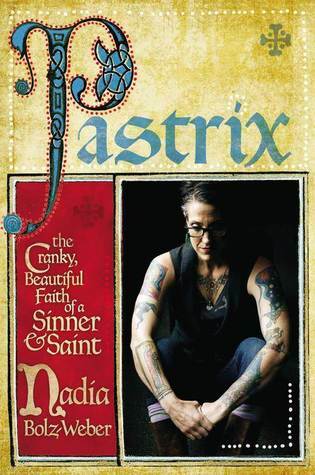 If you'd like to see the list of books I read in July you can do so here. I read a ton in July...it was too damn hot to do anything else. Hooray for August, let's make it a good one! Lastly, you'll definitely want to enter my latest giveaway. Unless you don't want to win a $50 gift card to Amazon that is. Good week! 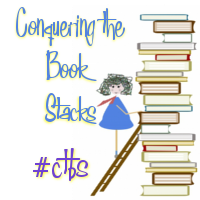 I definitely like the idea of Conquering the Stacks, though in my case it will have to be virtual stacks (ebooks) as I will be traveling all month. I've already put a moratorium on getting more any books in August unless they're already on my TBR list and just haven't come out yet. I checked out Pastrix on Goodreads, and it sounds fascinating! I'll look forward to your review. Have a great week! Here's my Sunday Post. It really does. I've put it on my Goodreads "someday" list. . . someday, because I've got so many books in my print and e-book TBR piles to get through first! I know just what you mean! You don't have to explain those crazy monstrous piles to me, lol. :) That's what I'm working on...getting through the piles! I read the bit about Conquering the Stacks and thought, "That doesn't apply to me because I don't buy books." After reading your comment, Lark, I remembered all those free e-books on my iPad! I have about 90 unread books in my Kindle app. I also have 330 books on my Goodreads TBR list, all of which are available at my local library. Perhaps I should do more reading and less adding in August myself! Impressive plan for August! I wish you luck....and enjoy! I joined a Mt. TBR Challenge for the year, so I'm gradually crossing them off, but yes, not buying would certainly help! Good luck clearing your shelves! I was thinking that the Conquering Your Bookshelves thingie sounded like a fantastic plan and then I realized I already have a small stack of books sitting here that I bought August 2nd so I've already failed at the task! ::Sigh:: Good luck to you though! LOL, that made me laugh! Well, maybe you forgo buying books for the REST of the month ;) Thanks Kristen! Looks like a bunch of interesting books! I hope you have a great August! Bah! August! My least favorite of all months. 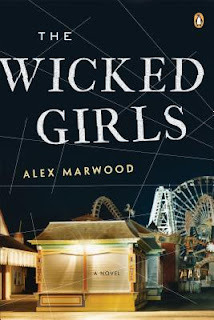 I really wanted to read The Wicked Girls. Sounds super fun! Oh no, it is? Because of the weather?? I hope we don't have any more of those steamy hot days we did in July. Gag! Good luck with the TBR challenge! It's so hard to read books you own when you can read those any time. I mostly get distracted by library books with those darn due dates... they always seem to come so fast! Here's to hoping that I don't lose my mind, lol. Thanks! Conquering the Stacks is a genius idea (although not a smart one for me right now, since I'm moving. I kind of have to live off of library books for the moment). I hope August is just as awesome for you as July was! Conquering the stacks sounds really good, perhaps I must do the same! A self-imposed library ban? No!!! (runs away screaming) I've tried to cut back on my library habit to tackle more reviews, but I'm weak! So weak! You've inspired me! My TBR list is OUT OF CONTROL! So, I just suspended all my requested books at the library until 9/1. I don't normally buy books, but I may still have some coming in with giveaways, but other than that...I'll spend this month tackling my TBR shelves as well! Way to go Melinda!! I love that you can do that with your hold list! I don't think that is possible on my libraries site. Hmmm...? I hope August will be good to you - and that TBR pile will go down even further! Thanks so much Tanya :D You and me both! Fabulous! Good job with reading so much, I'll have to catch up on all of your reviews that I missed while road tripping. And fabulous giveaway of course. Also love the idea of reading your own books for August. I was thinking of maybe doing a classics month or even a classics 2 weeks, where all I read for 2 weeks or a month are classics from my club list. I love the idea of reading only classics for a month Rebecca! I'm definitely going to tackle Les Mis in September...interested?? The Wicked Girls looks intriguing! I started The Wicked Girls last night, so far so good! Thanks Lindsey, I sure hope so! The weather was great for reading, that's for sure. I'd join CTBS except I bought a book the other day (well, technically it was a gift card but that still counts I'd say). LOL, whoops! I had to fight temptation today. It was the annual library book sale! I didn't go! I can't believe it, lol. Oooh, The Telling Room. I have it on my Nook. Story of my life. LOL, I hear you Andi, I hear you. 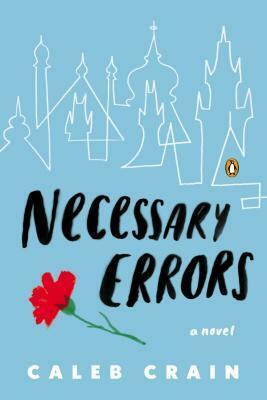 I love those new Penguin novels you've got there [Necessary Errors, The Wicked Girls], mmm they know how to design a good cover! I've got The Returned and Whistling Past the Graveyard on my Kindle too. When when when??! Have a great week Jennifer! I'm glad! It's a good one :D I agree about you on those covers, they're lovely. You have a great week too Shannon! Your upcoming reads all look good. Happy Conquering the Book Stacks! I just watched the trailer for the upcoming show yesterday! I could already see the changes from the book but it still looks very interesting. Boy, I've been away for too long! I'm glad to be finally getting caught up! 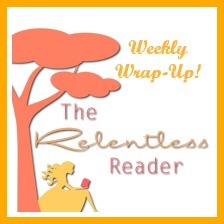 You definitely had awesome reading weeks in the meantime! Where have you been woman? Lol ;) I did have a great couple of weeks, yay!